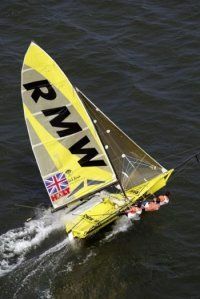 Hello and welcome to RMW (Witney) Ltd, an Oxfordshire based company who have enjoyed producing quality-engineering components since 1976.The company is a friendly, productive business with minimal overheads, we have skills and experience which enables us to produce high quality components and engineering services at a competitive price. RMW (Witney) Ltd has been a recognized name in the Toolmaking, Sub Contract Machining and Fabrication for over 30 years. We machine and fabricate a range of engineered part to suit a variety of customers, large or small. RMW (Witney) Ltd manufacture for many major industries including Rail, Agricultural, Medical and Autosport.We specialise in Sub-Contract CNC Milling and CNC Turning of precision machined parts; we manufacture your designs and ideas out of material ranging from Aluminium, Carbon fibre,Cast Iron and plastics, to Steel, Stainless Steel, Inconel and Titanium. We are committed to delivering on time and to inform our customers if dates are, for any reason unobtainable. Although RMW Witney Ltd is a relatively small company we manufacture quality components and provide engineering services in the uk and across Europe. We manufacture quality engineered components at a reasonable price and in the required time. Though we could design elaborate websites ,we do not. We use our recourses and time trying to improve our manufacturing techniques, quality systems and service to our customers. We as a company pride ourselves on our ability to react quickly and efficiently to changes in situations which is often very helpful for customers who may hit unforeseen problems. You can call us on the number above or, alternatively, you can email us using the form on our 'Contact Us' page.